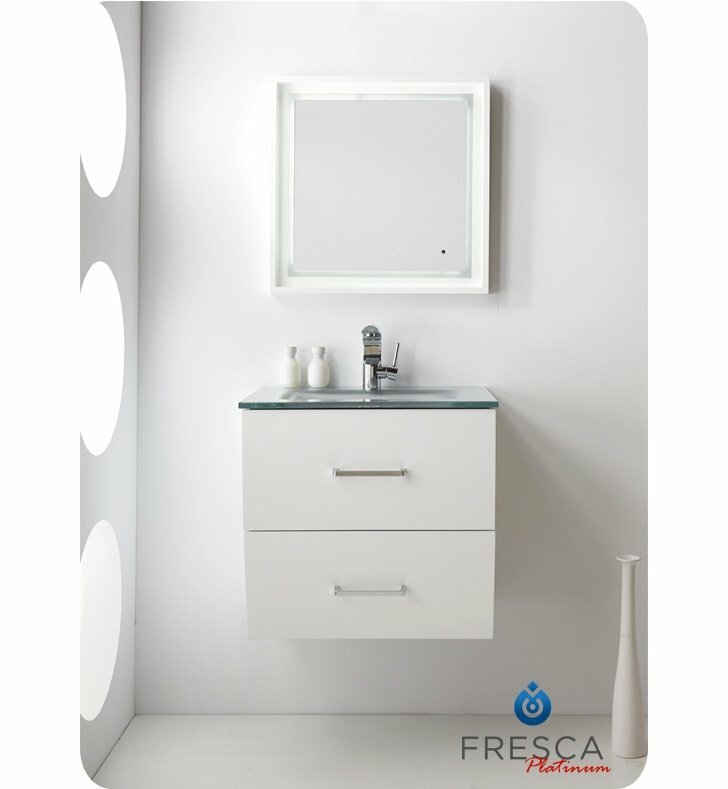 Questions about Fresca Platinum FPVN7624WH? 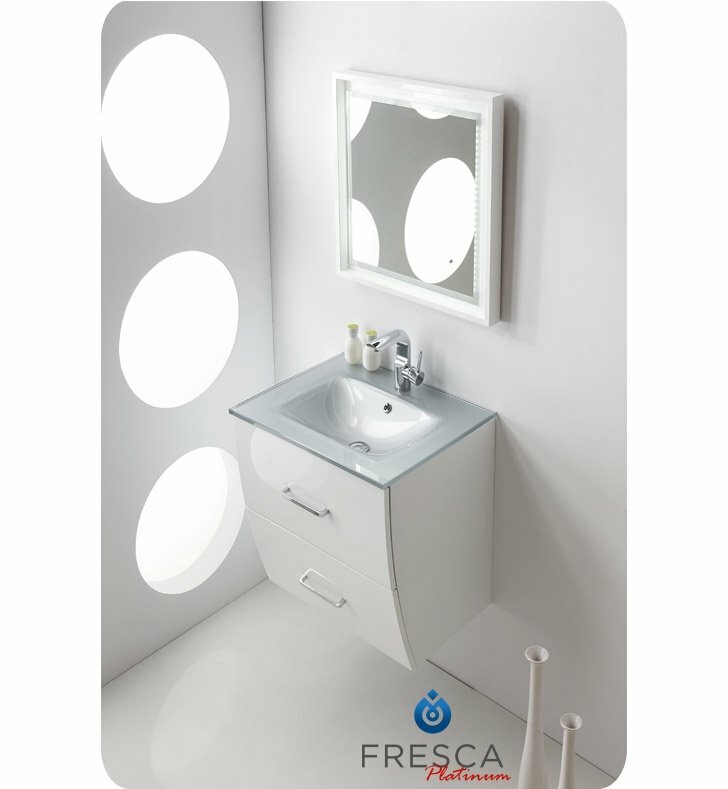 The Fresca Platinum Wave vanity was designed with simplicity and elegance in mind. With its stylish white glossy finish, this wall-mounted vanity is the perfect addition to any bathroom. 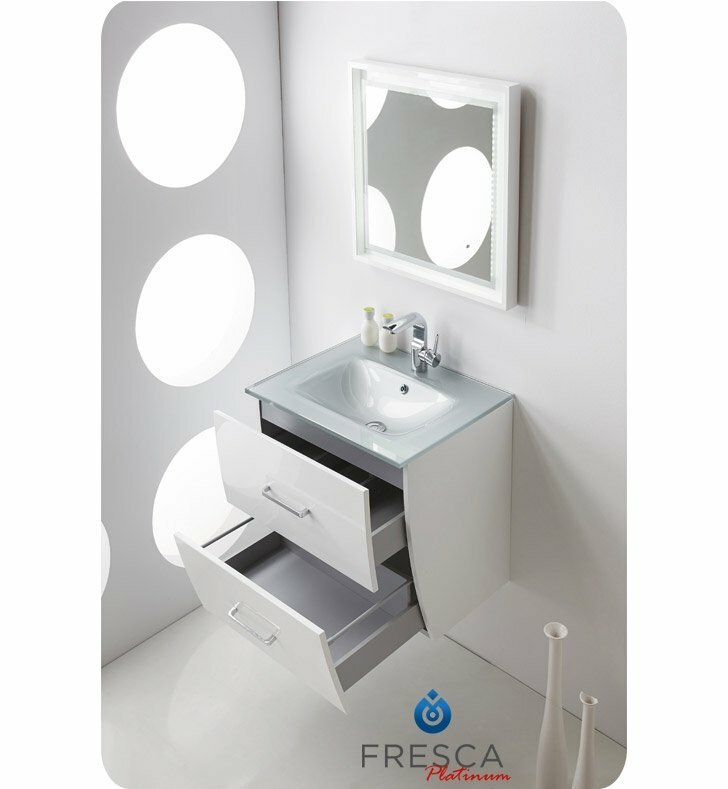 The cabinet comes equipped with 2 spacious drawers with German-made slow closing “Hettich Hinges” and is paired with a one piece integrated optical glass counter and sink. 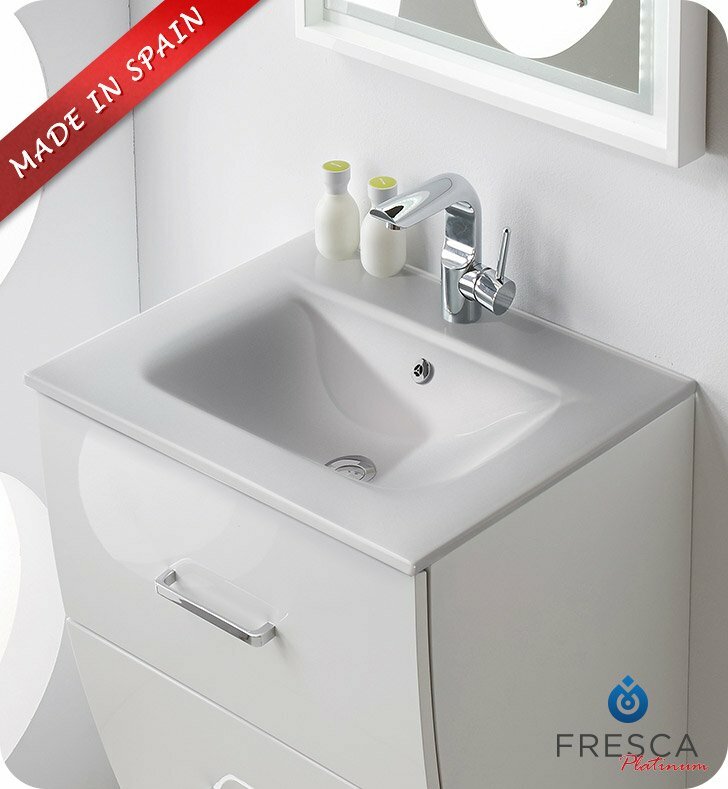 Made in Spain, this model is sure to cause "waves"! 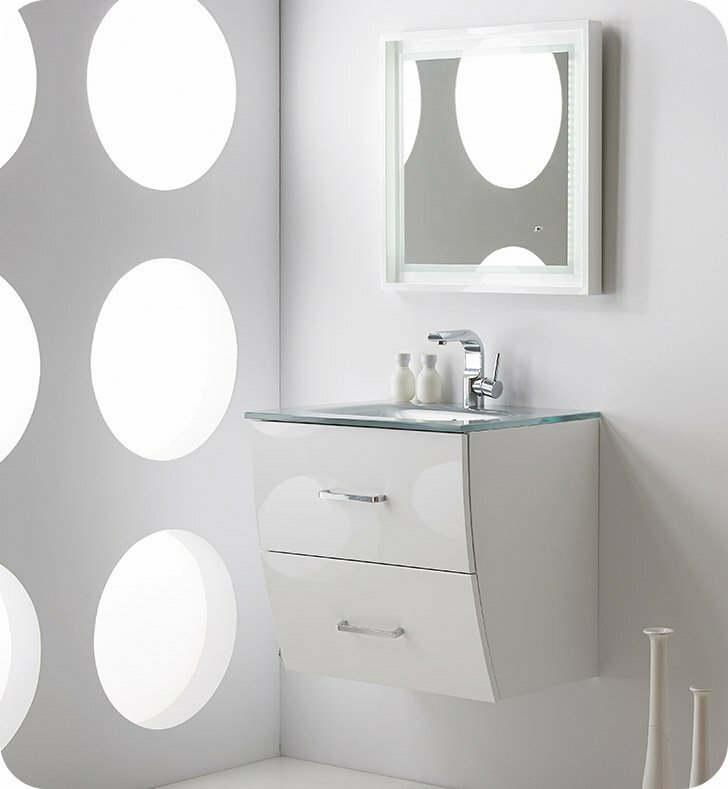 Vanity: W 24" x D 19 5/8" x H 23 3/8"
Mirror: H 31 1/2" x W 23 5/8" x D 2"